Zen is the Japanese name of a well known branch of Mahāyāna Buddhist schools, practiced originally in India as dhyan (ध्यान), which then came to be known in China as Ch’an (禪), and subsequently in Korea, Japan, and Vietnam. Zen emphasizes the role of sitting meditation (zazen) in pursuing enlightenment for the benefit of others thus emphasizing compassion. Though considered simply a practice by most of its Western practitioners, Zen is in fact nothing less than a school of Buddhism and thus a religion. It was only during the last century or so that Zen began to be viewed by Westerners as a philosophy, a way of life, work, an art form, etc. Such a view is not shared by the vast majority of Zen followers in the country of its origin. Zen is the common name for this branch of Buddhism in Japanese as well as in English. However, in the last half of the 20th century, Zen has become an international phenomenon, with centers in many countries around the world. According to traditional accounts, Zen was founded in China by an Indian Buddhist monk, Bodhidharma (Daruma Daishi in Japanese, Da mo in China; Bodhidharma was the third prince of the Chola Dynasty, descended from the North Indian Cholas, which ruled the area of Kanchipuram in the South). He was the 28th in the line of transmission from the Buddha’s disciple Kasyapa. According to the Jingde Record of the Transmission of the Lamp, circa 520 CE he traveled by sea to the southern Chinese kingdom of Liang where, in a famous exchange with the Emperor Wu, he declared that good deeds done with selfish intention were useless (conferred no merit) for gaining enlightenment. He then went to a monastery near Luoyang in eastern China and, according to legend, spent nine years meditating before a cliff wall before accepting any disciples. He later passed away at Mountain Sung Shaolin Temple(嵩山少林寺), Deng Feng County, Henan Province, China (Mountain Sung, the highest and central peak of the Five Sacred Mountains, situated in Henan Province). As a legendary culture hero Bodhidharma has also been linked to the Shaolin Temple and the subsequent spread of East Asian martial arts in the oral traditions of schools like Kung Fu and T’ai Chi Ch’uan, as well as in much popular wuxia fiction. Later, Korean monks studying in China learned what was by then called Ch’an, and which had by then been profoundly influenced by Chinese Taoism and to a lesser degree Confucianism. After the tradition was expanded to Korea, it came to be called Seon there (sometimes misspelled as Soen in the West). The Japanese Rinzai Zen philosopher D.T. Suzuki maintained that a Zen satori (awakening) was the goal of the training, but that which distinguished the tradition as it developed in China, Korea, and Japan was a way of life radically different from that of Indian Buddhists. In India, the tradition of the mendicant (holy beggar, or bhikku in Pali) prevailed, but in China social circumstances led to the development of a temple and training-center system in which the abbot and the monks all performed mundane tasks. These included food gardening or farming, carpentry, architecture, housekeeping, administration, and the practice of folk medicine. Consequently, the enlightenment sought in Zen had to stand up well to the demands and potential frustrations of everyday life. The following Zen schools still exist in Japan: Rinzai, Soto, and Obaku. Originally formulated by the eponymous Chinese master Linji (Rinzai in Japanese), the Rinzai school was introduced to Japan in 1191 by Eisai. Dogen, who studied under Eisai, would later carry the Caodong, or «Soto» Zen school to Japan from China. Ikkyu revitalized Zen in the 15th century and greatly developed the tea ceremony. Obaku was introduced in the 17th century by Ingen, a Chinese monk. Some contemporary Japanese Zen teachers, such as Daiun Harada and Shunryu Suzuki, who also taught in the United States, have criticized Japanese Zen as being a formalized system of empty rituals with very few Zen practitioners ever actually attaining realization. They assert that almost all Japanese temples have become family businesses handed down from father to son, and the Zen priest’s function has largely been reduced to officiating at funerals. Some Japanese Zen sects and teachers have also been criticized for their involvement in Japanese militarism and nationalism especially during World War II. In particular an American Soto Zen priest Brian Victoria has exposed a number of instances where Buddhist teachings were used to justify acts of killing. Zen is a branch of Buddhism and as such is based on and deeply rooted in the Buddha’s teachings. It is also very much the child of China and has some teaching derived from Confucianism and Taoism. The Zen branch calls itself the Buddha Heart School and traces its lineage back to the Buddha, with the Flower Sermon being the first transmission of the Dharma. It’s common for daily chanting to include the lineage of the school, reciting the names of all «dharma ancestors» and teachers that have transmitted Zen teaching. Zen is part of the Mahayana branch of Buddhism (Northern) and some practical differences are to be found with the Theravadins (Southern). For example, Zen and other Mahayana traditions place greater emphasis on the practice of the Paramitas (Path of Perfection) and less on the Eightfold Path, although familiarity with the Eightfold Path is still required. Another difference is in sutra study; Zen and other Mahayana traditions focus on the Mahayana Canon, while the Southern schools place emphasis on Tripitaka study. All Zen schools, Rinzai or Soto, are versed in Buddhist Doctrine and Buddhist Philosophy, including the Precepts, Four Noble Truths, Pratitya Samutpada, Three Signs of Being, Five Skandhas, Three Fires, Four Right Efforts, Five Hindrances, Ten Fetters, and the Bhavacakra (and its symbolic representation). At the same time, Zen’s emphasis on direct seeing into one’s nature keeps it lively and at the edge of the tradition. This openness has allowed non-Buddhists to practice Zen, especially outside of Asia, and even for the curious phenomenon of an emerging Christian Zen lineage, as well as one or two lines that call themselves «nonsectarian.» With no official governing body, it’s perhaps impossible to declare any authentic lineage «heretical.» The principal safeguard is lineage and any authentic Zen school will be able to trace its line of teachers back to Japan, Korea, Vietnam or China. These teachings are in turn deeply rooted in the Buddhist textual tradition, drawing primarily on Mahāyāna sutras composed in India and China, particularly the Platform Sutra of Huineng, the Heart Sutra, the Diamond Sutra, the Lankavatara Sutra, and the Samantamukha Parivarta, a chapter of the Lotus Sutra. The body of Zen doctrine also includes the recorded teachings of masters in the various Zen traditions. The heavy influence of the Lankavatara Sutra, in particular, has led to the formation of the «mind only» concept of Zen, in which consciousness itself is recognized as the only true reality. Zen is not primarily an intellectual philosophy nor a solitary pursuit. Zen temples in Asia and Zen centers in the west emphasize meticulous daily practice, and hold intensive monthly meditation retreats. Practicing with others is valued as a way to avoid the traps of ego. In explaining the Zen Buddhist path to Westerners, Japanese Zen teachers have frequently pointed out, moreover, that Zen is a way of life and not solely a state of consciousness. D.T. Suzuki wrote that the aspects of this life were: a life of humility; a life of labor; a life of service; a life of prayer and gratitude; and a life of meditation. The history of Zen has also been closely connected to the development of several forms of martial arts, most notably Aiki jujutsu, Judo and especially Aikido, sometimes considered the most religious martial art, in Japan and Kung Fu in China. Zen sitting meditation is called zazen. Walking meditation is called kinhin. Meditation as a practice can be applied to any posture. During zazen, practitioners usually assume a lotus, half-lotus, Burmese, or seiza sitting position. A round cushion (zafu) placed on a padded mat (zabuton) is used to sit on, or a chair may be used. Rinzai practitioners traditionally use a square cushion and typically sit facing the center of the room, while Soto practitioners sit facing a wall. Awareness is directed towards one’s posture and breathing. In Soto, shikantaza meditation («just-sitting») that is, a meditation with no objects, anchors, «seeds,» or content, is the primary form of practice. Considerable textual, philosophical, and phenomenological justification of this practice can be found in Dogen’s Shobogenzo. The daily time spent in zazen varies. Dogen recommends that even 5 minutes daily for householders is beneficial. The key is daily regularity, as Zen teaches that the ego will naturally resist, and the discipline of regularity is essential. Practicing Zen monks may spend 4-6 periods of zazen 30-40 minutes each during a normal day. During the monthly retreat sesshins of 1-, 3-, 5-, or 7-day duration, they may spend 9-12 periods of scheduled group zazen, and occasionally more individual zazen late at night. The zazen periods are usually interleaved with brief periods of walking meditation to relieve the legs. Dogen’s teacher Rujing was said to spend less than 4 hours in actual sleep each night, spending the balance in zazen (see Dogen’s formative years in China by Takashi James Kodera ISBN 0710002122). However, in practice, it is not uncommon for monks to actually sleep during zazen. 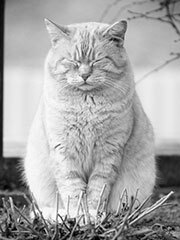 Some meditation researchers have theorized that Zen adepts who are able to achieve the deeper levels of samadhi in meditation are actually fulfilling the same need as REM sleep, so that when zazen time is added to actual sleep time, they are in effect still getting the normal amount of daily sleep that the brain requires. However, such ability to enter into deep samadhi during zazen is apparently fairly rare, and may not arise even after decades of meditation. Because the Zen tradition emphasizes direct communication over scriptural study, the role of the Zen teacher is important but not entirely crucial. Generally speaking, a Zen teacher is a person ordained in any tradition of Zen to teach the dharma, guide students of meditation and perform rituals. Seeing into one’s own nature and attainment of Buddhahood. Since at least the Middle Ages, Dharma Transmission has become a normative aspect of all Zen sects. Every Zen teacher stands within one lineage or another. Some sects, including most Japanese lines, possess formal lineage charts that are drawn up for the ceremonial practice of transmission, which document the lineage back to Shakyamuni Buddha. Honorific titles associated with teachers typically include, in Chinese: Fashi (法師) or Chanshi (禪師); in Korean, Sunim or Seon Sa; in Japanese: Osho (priest) Roshi (old master) or Sensei (teacher); and in Vietnamese, Thay (teacher; pronounced tie). Note that many of these titles are common among Buddhist priests of all schools present in the specific cultural context. Some titles, such as the Japanese sensei, are also used beyond the Buddhist schools. The term Zen master is often used to refer to important teachers, especially ancient and medieval ones. However, there is no specific criterion by which one can be called a Zen master. The term is less common in reference to modern teachers, because they are generally reluctant to proclaim themselves «masters.» At the same time these teachers willingly acknowledge their lineage connections, naming who authorized them as teachers. In Japan during the Tokugawa period (1600–1868), some came to question the lineage system and its legitimacy. The Zen master Dokuan Genko (1630–1698) for example, openly questioned the necessity of written acknowledgement from a teacher, which he dismissed as «paper Zen.» The only genuine transmission, he insisted, was the individual’s independent experience of Zen enlightenment, an intuitive experience that needs no external confirmation. What is called Zen enlightenment is not dependent on another’s enlightenment or some external confirmation. An occasional teacher in Japan during the Tokugawa period did not adhere to the lineage system and were what is termed mushi dokugo in Japanese; which means «enlightened without a teacher.» They are often also known as jigo jisho — «self-enlightened and self-certified.» They were generally dismissed and perhaps of necessity leave no independent transmission. Still, they represent a thread that continues to modern American Zen where there are a few teachers such as Cheri Huber who refuse to discuss where or even whether they studied Zen in any traditional way. In any case this is very much a minority position within Zen where a formally and publically acknowledged transmission is normative. The Zen schools (especially but not exclusively Rinzai) are associatedwith koans (Japanese; Chinese: gongan; Korean: gong’an). Theterm originally referred to legal cases inTang-dynasty China. In some sense, a koan embodies a realized principle, or law of reality. Koans often appear paradoxical or linguistically meaningless dialogs or questions. The ‘answer’ to the koan involves a transformation of perspective or consciousness, which may be either radical or subtle, possibly akin to the experience of metanoia in Christianity. They are a tool to allow the student to approach enlightenment by essentially ‘short-circuiting’ the logical way we order the world. Through assimilation of a Koan it is possible to ‘jump-start’ an altered mindset that then facilitates enlightenment. An example of a Zen koan is: «Two hands clap and there isa sound. What is the sound of one hand?» It is sometimes said thatafter diligent practice, the practitioner and the koan become one.Though most Zen groups aim for a «sudden» enlightenment, this usuallycomes only after a great deal of preparation. For examples of ‘successful’ koan practice resulting in enlightenment experiences, see the anecdotes of Rinzai koan practice recounted in the first book in English to engage Zen as a practice, The Three Pillars of Zen by Philip Kapleau (ISBN 0385260938). For examples of years of futile and fruitless koan practice, see the book AfterZen by Janwillem van de Wetering (ISBN 0312272618). The most important book on the subject in English is probably Isshu Miura and Ruth Fuller Sasaki’s Zen Dust (ASIN B0006BNOZG), sadly long out of print. Fortunately the text, while lacking the extensive footnotes, continues to be available as The Zen Koan: It’s History and Use in Rinzai Zen (ISBN 0156999811). Probably the best relatively brief survey of koan study is the to Victor Sogen Hori’s Zen Sand: The Book of Capping Phrases for Koan Practice (ISBN 0824822846) which can be found on the web. Also of importance, although marred by the ideological perspectives of several of its authors, is the anthology edited by Steven Heine and Dale Wright, The Koan: Texts and Contexts in Zen Buddhism. Zen teachers advise that the problem posed by a koan is to be taken quite seriously, and to be approached quite literally as a matter of life and death. There is a sharp distinction between right and wrong ways of answering a koan — though there may be many «right answers», practitioners are expectedto demonstrate their understanding of the koan and of Zen with their whole being. The Zen student’s mastery of a given koan is presented to the teacher in a private session (called in various Japanese schools dokusan, daisan or sanzen). The answer to a koan is more dependent on «how» it is answered. Or, to put it somewhat differently, the answer is a function not merely of a reply, but of a whole modification of the student’s experience; he or she must live the answer to the koan rather than merely offering a correct statement. It is misleading to suggest there is a single correct answer for any given koan, though there are «correct» and «incorrect» answers, and, indeed, there are compilations of accepted answers to koans to help understand the paradox, and prepare for the interview. These collections are of great value to modern scholarship on the subject. Following the tradition of «living koans,» a number of western Zen teachers supplement the traditional koan curriculum using various western sources, such as apparently paradoxical sayings from the Bible. A contemporary Zen Master, Seung Sahn, has echoed this teaching in saying that in this life we must all ‘kill’ three things: first we must kill parents; second we must kill Buddha; and last, we must kill the Zen teacher (e.g. Seung Sahn). Of course, kill here is not literally killing. What is meant is to kill one’s attachment to teachers or other external objects. Rather than see concepts outside of themselves, Zen practitioners must integrate these objects with their concepts of self. When visiting Zen centers, people who began with the stories featuring apparent iconoclastic encounters are often surprised by the conservative and ritualistic nature of the practice. Most Zen centers in the west, like their counterparts in the east, emphasize regular meditation, both on a daily basis and in monthly retreat, as well as a discipline based in practice schedules and everyday household chores such as cooking, cleaning, and gardening as the path of enlightenment. Since the 1930s in the United Kingdom, and at least since the Beatnik movement of the 1950s in the United States, the West has had a growing interest in Zen. Often, it has been diluted or used as a brand name, leading to criticism of Western appreciation for Buddhism. However, there is some genuine interest as well. In Europe, the Expressionist and Dada movements in art tend to have much in common thematically with the study of koans and actual Zen. The early French surrealist René Daumal translated D.T. Suzuki as well as Buddhist Sanskrit texts. Eugen Herrigel’s book Zen and the Art of Archery (ISBN 0375705090), described his training in the Japanese Zen martial art of Kyudo , which inspired many early Zen practitioners. However, many scholars are quick to criticize this book and others listed here as «orientalist,» based on a western perception of Zen, rather than in-depth scholarly study of its origins. The British-American philosopher Alan Watts had a personal interest in the Zen school of Buddhism and wrote and lectured extensively on it. He was interested in it as a vehicle for a mystical transformation of consciousness, and also in the historical example of a non-Western, non-Christian way of life that hadfostered both the practical and fine arts. The Dharma Bums, a novel written by Jack Kerouac and published in 1959, gave its readers a look at how a fascination with Buddhism and Zen was being absorbed into lifestyle experimentation by a small group of mainly west-coast American youths. Besides the narrator, the main character in this novel was Gary Snyder, thinly veiled as «Japhy Ryder» by his friend Kerouac. The story was based on actual events that occurred when Snyder pursued formal Zen studies in Japanese monasteries between 1956 and 1968. Over the last fifty years «mainstream» forms of Zen, led by teachers who trained in East Asia or were trained by such teachers have begun to take root in the west. In North America the largest family of «lineages» is derived from the Japanese Soto school. These include the «White Plum» founded by Hakuyu Taizan Maezumi Roshi and the «Ordinary Mind» school founded by Maezumi’s Dharma heir Zen master Joko Beck; as well as the «San Francisco Zen Center» lineage established by Shunryu Suzuki Roshi; and the «Katagiri» lineage established by Suzuki’s sometime associate, Dainin Katagiri Roshi which has a significant presence in the midwest. A Soto reform school which emphasizes lay practice as well as incorporating a full koan curriculum, the Sanbo Kyodan (or Order of the Three Treasures) is represented in North America by Ruben Habito Roshi, as well as Robert Aitken Roshi’s Diamond Sangha network, the Pacific Zen Institute led by John Tarrant Roshi, and Boundless Way Zen led by James Ishmael Ford, Roshi. The single largest Zen lineage is the Korean derived «Kwan Um School of Zen» established by Zen Master Seung Sahn. There are also a number of Japanese derived Rinzai centers, most notably the «Rinzaiji» lineage of Kyozan Joshu Sasaki Roshi. and the «Dai Bosatsu» lineage established by Eido Shimano Roshi. There are also a few centers based in Chinese Chan, most notable in that it has significant western leadership is the «Dharma Drum» lineage led by Zen Master Sheng Yen. The Vietnamese monk Thich Nhat Hanh has established the Order of Interbeing (Tiếp Hiện), a monastic and lay order based on the principles of Engaged Buddhism. Thich Nhat Hanh is a signficant teacher, and has been one of the teachers of several contemporary Western Zen masters. His community is based in France at Plum Village, the meditation center he founded, but also has branches in America, and affiliated sanghas around the world. German director Doris Dorrie’s comedy Enlightenment Guaranteed is about two German brothers, who head to Japan in search of the Zen experience. It’s considered a sequel to one of Dorrie’s biggest hit films, Men. The Dutch-made My Life is My Message looks at Vietnamese Zen teacher Thich Nhat Hanh as he discusses peace with Israelis and Palestinians staying at his retreat center in France. The movie also examines Hahn’s address to the U.S. Congress in 2003 on the second anniversary of 9/11. The 1989 film «Why Has Bodhidharma Left for the East?» (Korean title: Dharmaga tongjoguro kan kkadalgun) by Yong-Kyun Bae is essentially a zen fable. The action-hero character Rambo works in a Buddhist monastery in the 1988 film Rambo III.